While some like White Meat, some Dark Meat, and some not Turkey at all, everyone loves Chocolate. So serve it up Turkey-style for Thanksgiving as suggested by this Chocolatier. I’ll take helpings of the Circular Displayers too please. 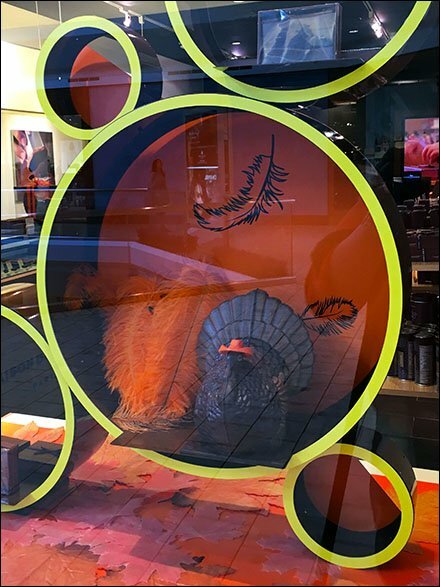 Note the feather and feathered backdrop promoting the Chocolate Turkey. CLICK through the gallery zooms for details of Chocolate Turkey for Thanksgiving.